The story began in Germany in 1797, in the Mosel Saar Ruwer region close to the Luxembourg frontier, when Jean-Jacques Kook bought the Scharzhof farm from the French government. He built what is still the domaine’s cellar to this day. The vines from the Scharzofberg vineyard had already grown, but they belonged to a monastery at the time. When the adjoining land was occupied by French Revolutionary troops, the church was stripped of its estates. 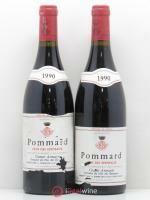 Jean-Jacques Koch was able to reclaim the vineyard and the domaine was born. When he died, his daughter Elisabeth, wife of Felix Müller, inherited the land. Several purchases and inheritances meant that the couple was able to double the size of their domaine in the 1850s. 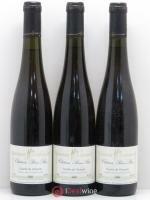 Their son Egon Müller Ist inherited the domaine. His ambition was to establish its credentials. He therefore took part in the Universal Exhibition in Paris in 1900. One generation followed another right down to Egon Müller IV, son of Egon Müller III, and the current owner of the domaine. Today, the Egon Müller domaine is one of the most highly reputed in Germany and a truly iconic Saar vineyard, whose wines change hands for colossal sums. This family vineyard located in Wiltingen comprises eight and a half hectares on the schist soils of the Scharzhofberger hill, with a due south exposition and very steep slopes at an altitude ranging from 200 to 300 metres above sea level. The vineyard is planted exclusively with Riesling grapes, with a few very old non-grafted vines. 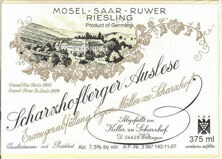 Scharzhofberger Auslese is a very fine, sweet white (botrytised) wine. 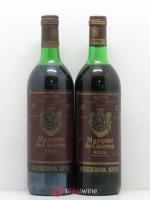 Its nose suggests citrus fruit (lemon, tangerine), white-fleshed fruit (pear), apricots, wet stone and honey. 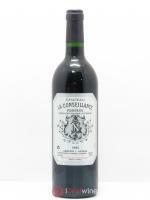 The palate is noticeably syrupy but nicely balanced by acidity which makes for a very easy-to-drink wine. It is also aromatically complex with a very impressive finish. This sumptuous wine pairs well with highly seasoned and full-flavoured dishes (spicy, acidic, etc).